Which make HP2000 a universal impact direction hardness tester. 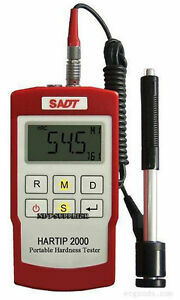 HP2000 is also a cost saving hardenss tester and has many other features. Hardness scale. Linear accuracy for any angles. High accuracy: /-2HL( or 0.3% @HL800).